You can certainly pack and transport all of your belongings and furniture when you move yourself, rather than hiring the help of Brisbane Removalists. There are however, four items that are best left to the experts, because tackling them yourself will quite likely lead to injuries, as well as causing damage to these items. The four items that are best left to the expert movers and packers in Brisbane are: pianos, fish tanks, artwork and large plants. Pianos: No-one should really move and lift a piano themselves, even with help from friends. Moving these huge, heavy and bulky items through doorways, up and down stairs and onto a truck can not only cause serious injury to yourself and your mates, but can also damage your piano. Pianos are actually finely tuned instruments that don’t take well to being moved, often requiring to be re-tuned after a difficult move. 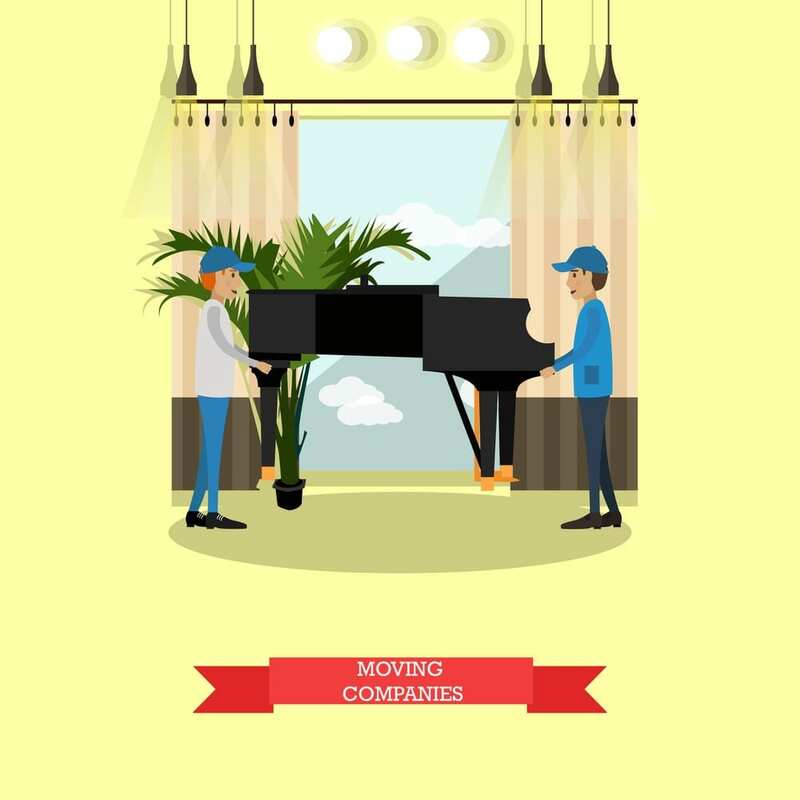 It is always best to leave piano moving to your expert Brisbane Removalists. Fish Tanks: Can you imagine the weight of a fully filled fish tank? This is why you always need to empty out most of the water before moving a fish tank, leaving enough water so that the bacteria can quickly repopulate when the fresh water is added. You also need to remove your fish and transport them separately, because they don’t do well when sloshed around repeatedly in a large fish tank. Once partly emptied however, you could move the fish tank yourself, but it is always easier to ask your local house packing and transport company in Brisbane to do the job for you. Artwork: Avoiding damage to artwork is essential due to its monetary value, as well as its sentimental value. Artwork can come in all shapes and sizes, as well as being very bulky and heavy. Nothing is impossible to move and you can certainly pack and transport your own artwork, but to be on the safe side, it is always better to hire specialist Brisbane Removalists for the job. Large Plants: Small plants are not a big deal and the best way to transport them is to transfer them from a ceramic or pottery container into a plastic pot for the move. This prevents the loss of your pots and helps to protect the plant’s roots from being damaged. Large plants however, are a different story, requiring specialist lifting equipment. This is why you need to call your local movers and packers in Brisbane for all large plant transportation. Need specialist Brisbane Removalists? Call Brisbane Pre Packers and get a quote online today.